Looking for an egg-free Whole30 breakfast? Who isn’t, right? 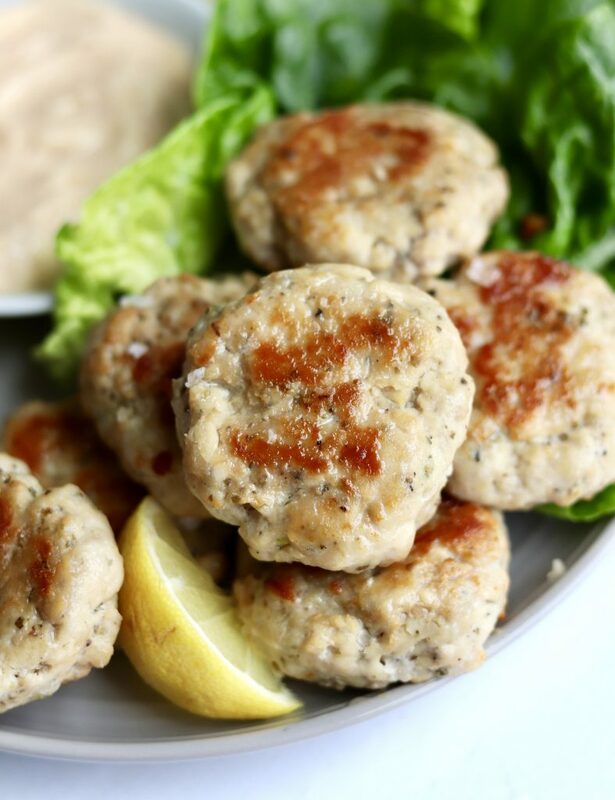 These Marjoram Chicken Patties made with lemon and garlic are actually pretty versatile and an awesome egg-free breakfast option, I think. I usually make them them for a quick morning meal, but I’ve also prepped them for lunch, and even made them into lettuce wraps for dinner. I pair them with a bit of spicy dip and it’s so, so good, plus a refreshing change of pace from the morning egg routine (here’s another egg-free Paleo breakfast idea!). 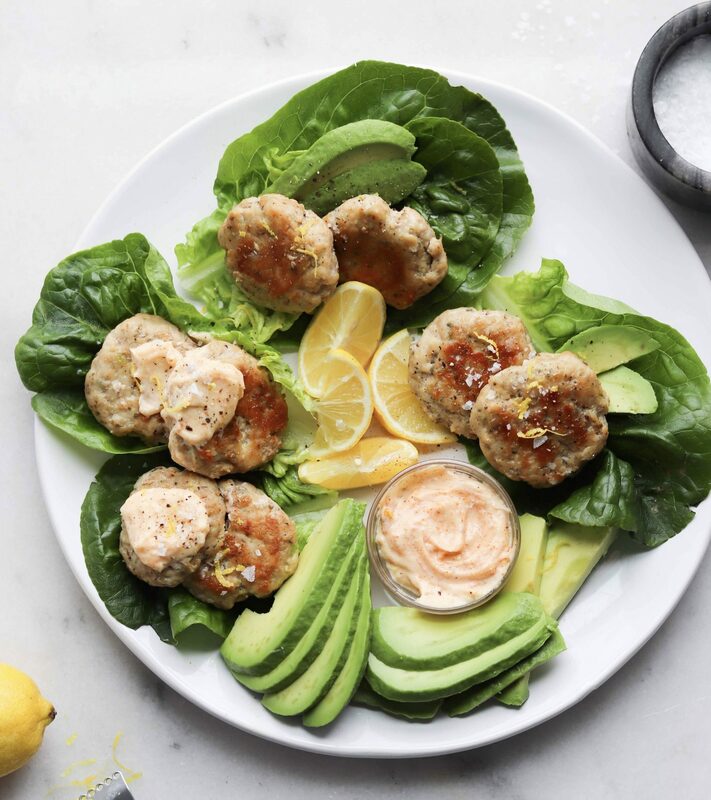 For these chicken patties, the marjoram really works beautifully against the bright lemon and garlic, and it takes something as simple as ground chicken to a totally new level! Marjoram is an herb pretty similar to oregano, but marjoram has a more delicate, milder flavor. If you only have oregano on hand, feel free to substitute it in this and any recipe that calls for marjoram, but use a little less to account for that. 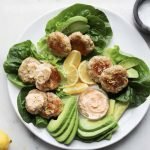 There’s more flavor in ground chicken thighs, so I try to choose them when I can, but ground chicken breasts work just fine too. They’re a lot more readily available at grocers near me, so if that’s what you have too, go ahead and use it! It’ll still be delicious. I mean, how could it not be? 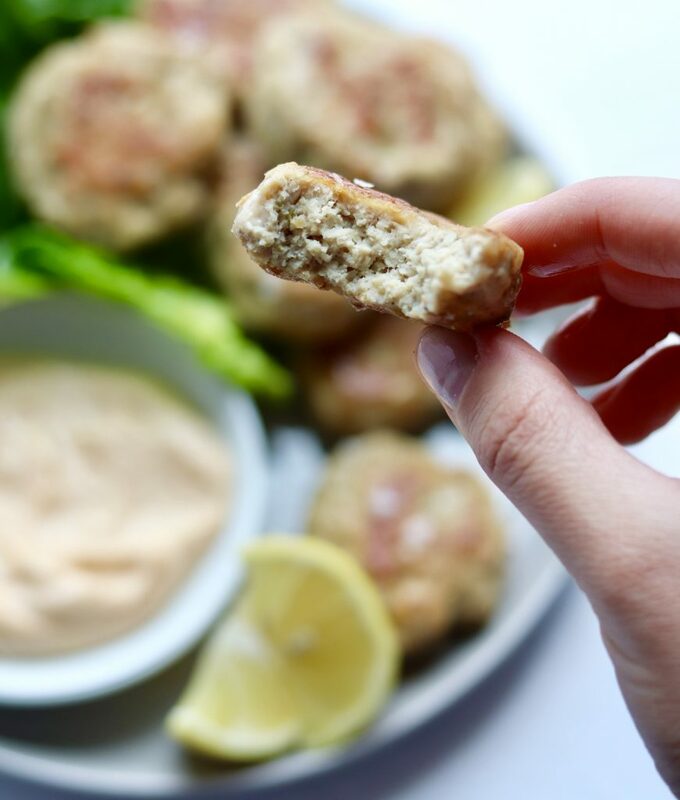 Just a few simple ingredients make these marjoram + lemon + garlic chicken patties! 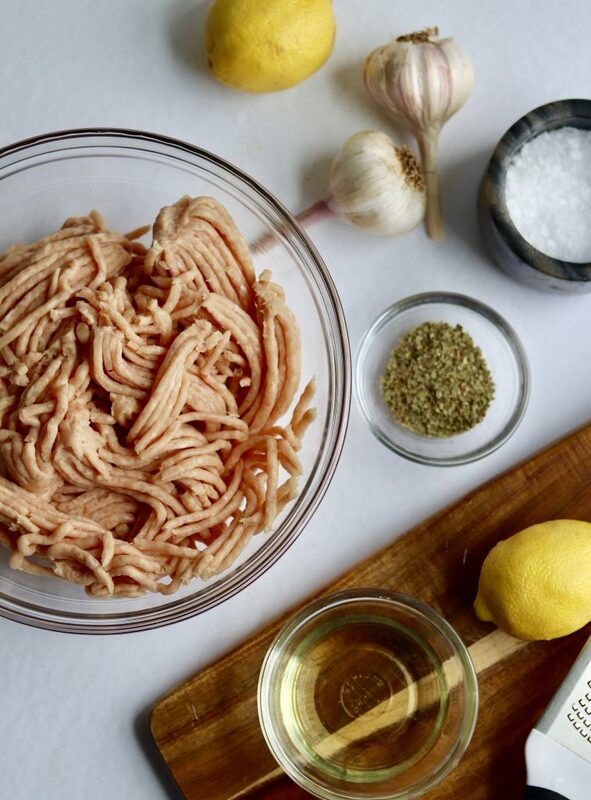 1 lb ground chicken preferably thighs, but breasts work too! Mix all the ingredients except for the oil together in a bowl. Cover and refrigerate for about 30 minutes. Heat the oil in a medium skillet. Form the chicken mixture into 3 inch patties (It should make about 8-10 in total). Pan fry for about 3-4 minutes per side, until cooked through. Give the finished chicken patties and squeeze of lemon juice and a sprinkle of flakey sea salt. Serve it with the spicy mayo, lettuce, and sliced avocados. What do you think about this egg-free breakfast idea? Let me know in the comments below! I am always looking for egg-free breakfast ideas. I would have never thought of this! Thanks for the inspiration.